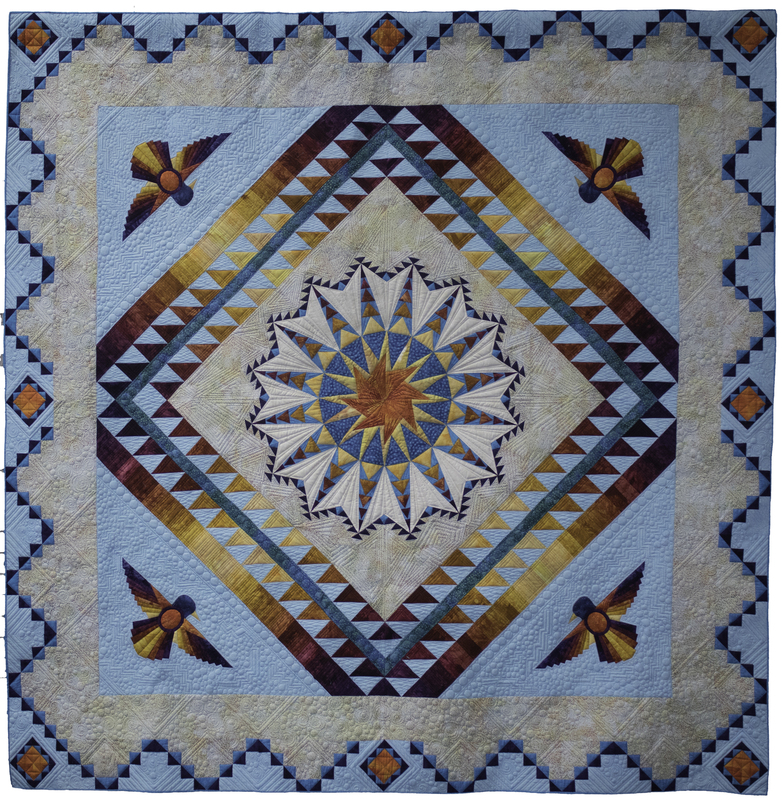 You can click on the photo to view the next quilt in the gallery. I would love to win this quilt! The colors and workmanship are amazing! The entire design is a work of art and I love the American Native feel.